Suitable for any kind of office space, these ergonomically sound office chairs from Cape Town not only come in ingenious and elegant designs, but also last for a really long time as well. These chairs are manufactured with the comfort of the regular office employees in mind, who spend a long time stuck to their desks. These chairs specialise in providing decent support for the lumbar region, consequently eliminating the possibility of muscular strain and other ailments. All of these chairs are designed with soft and durable skin foam, and they come in numerous structural designs, such as high backs, low backs, mid backs, round, oval, and square seats, and plenty more. 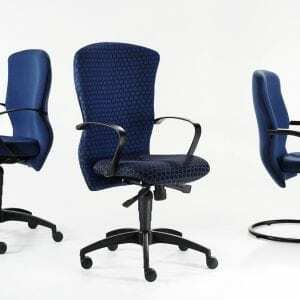 Find these carefully crafted office chairs online, and get ready for a fast delivery.